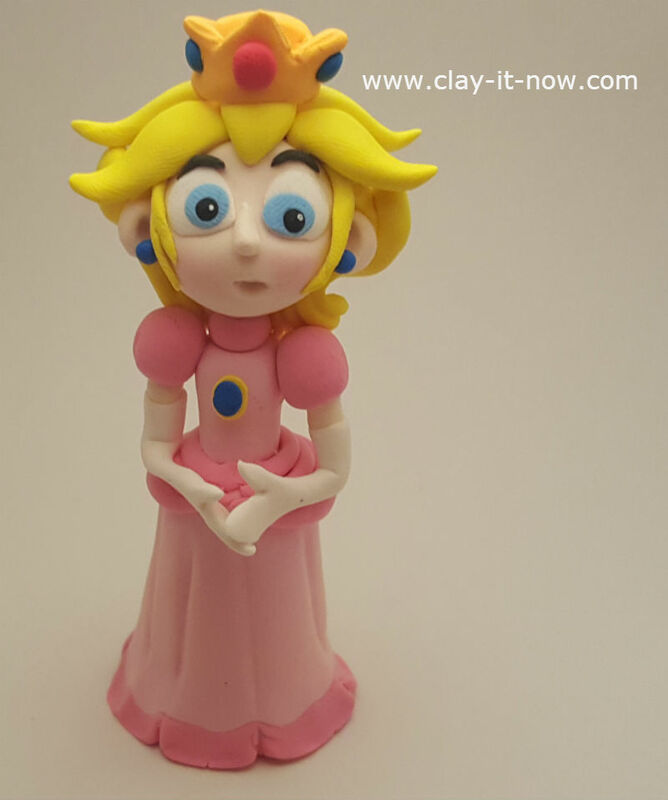 We've handcrafted Princess Peach clay figurine which some of you may remember her as Princess Toadstool based on a character from Super Mario games. Princess Peach was created by Shigeru Miyamoto in her role as a damsel in distress - a classic theme in world literature, art, film and video games where a beautiful young woman usually placed in a danger situation by a villain or monster and need a hero to rescue her. Peach is the princess of the fictional Mushroom Kingdom, which is constantly under attack by Bowser. Let's have fun crafting this character. We need clay in white, red, yellow, blue, and black color. 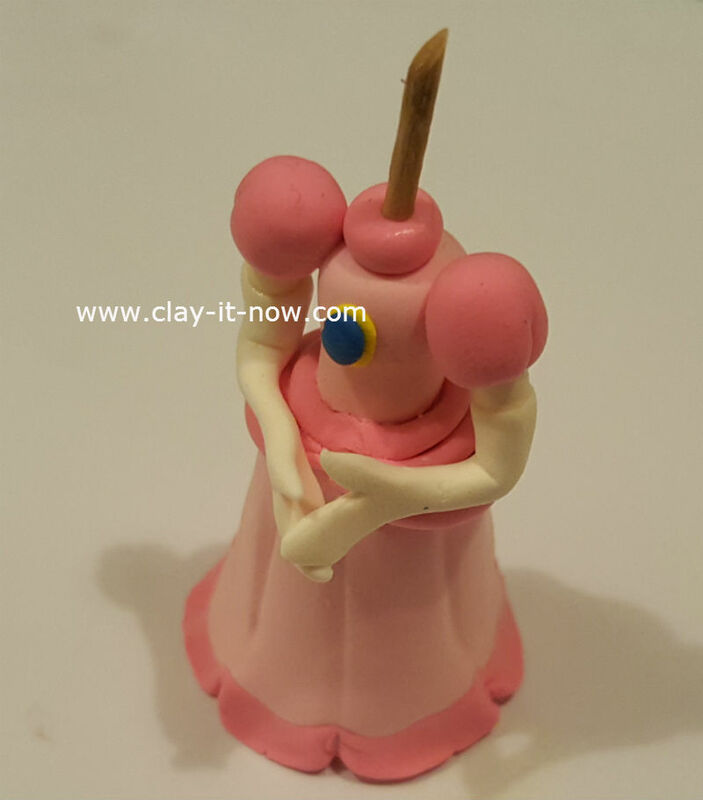 We use store bought air dry clay for this figurine. Our recommendation would be Makin's air dry clay or Cloud clay. 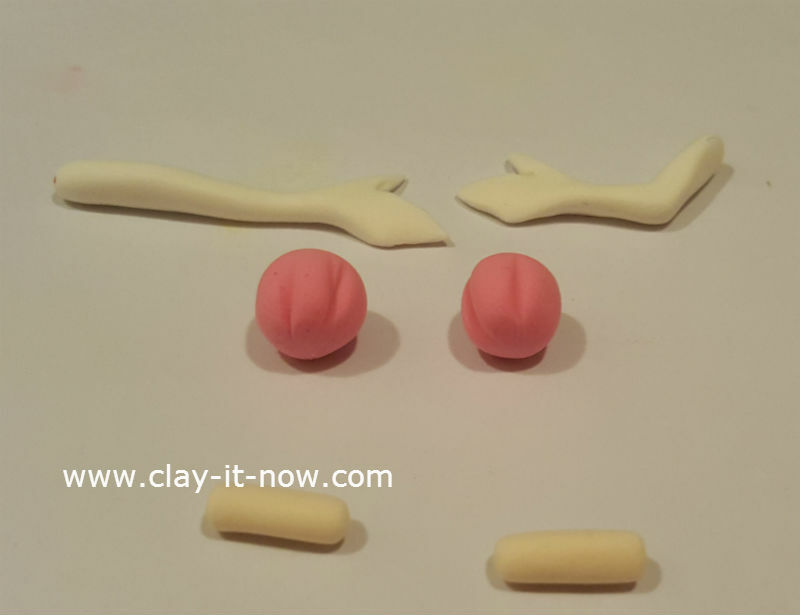 Honestly, this two type of clay is easy to handle and will last long. 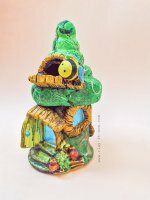 You can also use cold porcelain clay or other homemade clay. First of all, let's make a backing for the skirt from aluminium foil. Roll it to the size you like. Next, mix your white clay with a little bit of red clay. 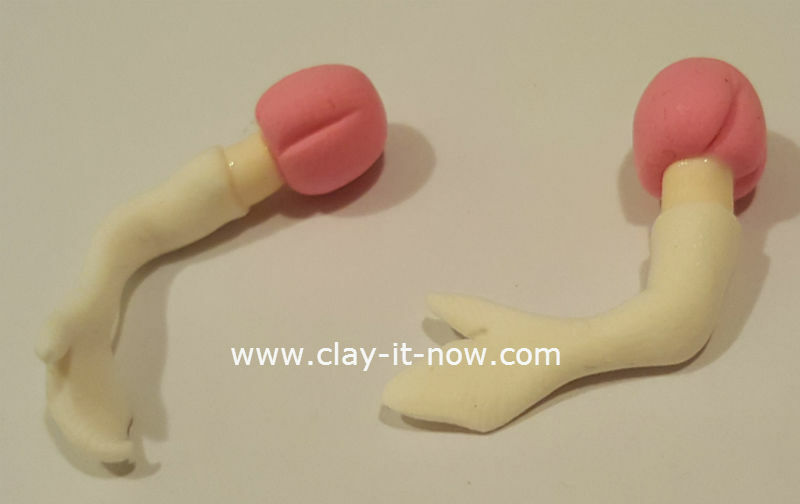 Use your clay ruler if you want to duplicate your pink color next time as shown in our clay coloring technique page. 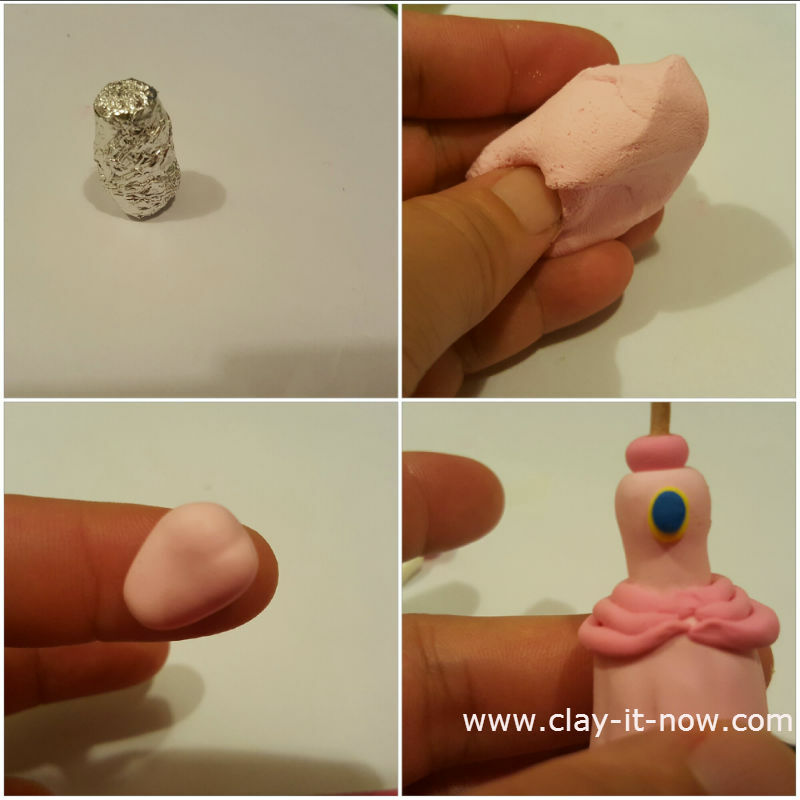 Wrap the pink clay around the rolled aluminium foil. Then, make the upper body - shape it nicely with the size that will have a good balance to the skirt. After that, add a little bit of red color to make slightly darker pink. Make a sash around her waist. Also, add a tiny darker pink clay color for her collar. And, add blue gem with yellow base on her chest. Attach all the three parts together with glue. Leave this until it's firm enough when you touch it and stay at its shape. The princess body and arms are looking good. Let's work on her head, hair and crown. I think you can follow our picture above for the face. Basically, insert the head to the toothpick and add glue to strengthen it. Again, make sure your head is dry before adding the hair. We are at the last step now. 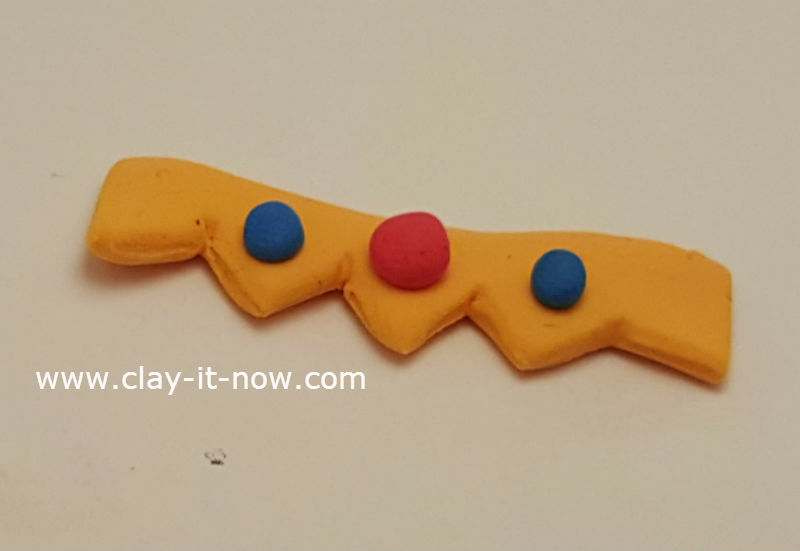 This is the picture of our princess crown from orange clay (it's a mixture of yellow and red). Wrap this clay around your index finger and make a close circle and then paste it on the hair. 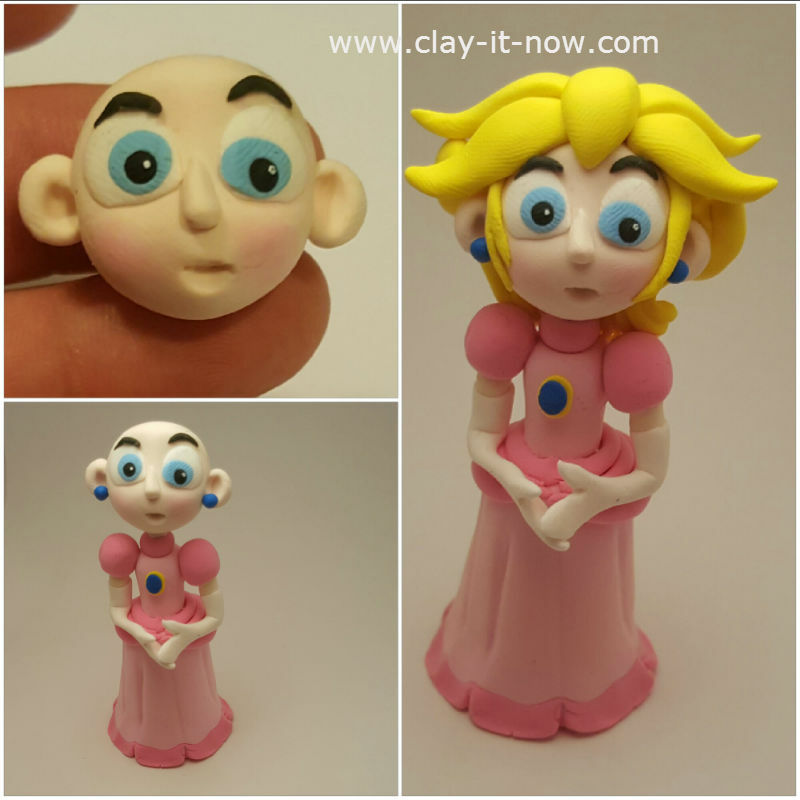 Our Princess Peach clay figurine is done now. 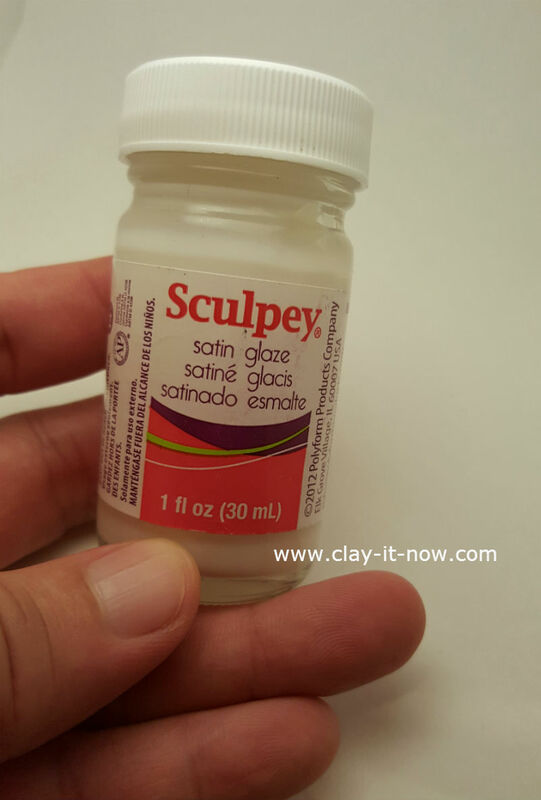 Lastly, I would recommend you to apply a thin layer of Sculpey satin glaze to protect your figurine (only if you have it).